Happy Father’s Day to all of you dads. Dad are unique breed when it comes to diabetes. We try to look like we have it all together but in truth, we become a mess. There are millions and millions of Hallmark Cards that tout the strengths of dads and the things dads do that make them such special people. Here is an inside look at a dad’s mind. In our minds, we can do anything. We can protect, provide, support, build, and fix anything (although we have a hard time remembering to put the toilet seat down). In our own twisted minds we are the superman of the family. We can do it all. On the day Kaitlyn was diagnosed on September 26th, 1992; she looked up with those two-year-old-big-round-eyes and said; “Daddy, fix”. The realization that at that moment I could not do that crushed me. It crushes me to this day. I cannot fix this for Kaitlyn and now, for Rob either. I have observed, over my long tenure, the way this diabetes dynamic has entered the household. There is no rule book and many times the mom takes up the control of the daily diabetes management. Sometimes it is a discussion on who needs to do what; but many times it evolves with no discussion at all. It is never too late to have that discussion; assumption can be dangerous and many times diabetes is just not discussed, it probably should be discussed. Dads are tough. But know this point—when our children are diagnosed we are absolutely devastated. We think it is our job to show a strong front and that it all will be okay one day. But it won’t be okay. Not ever. It will stay the way it is until a change occurs. Better management tools will certainly come along but the bottom line is that nothing will get done to cure our children unless WE DO IT. Ask yourself if you are doing enough and make up your mind to get to the point where you feel like the daddy truly trying to fix. And start this weekend, father’s day. Years ago I was introduced as Diabetes Dad Tom Karlya when I was the keynote speaker at a Children with Diabetes Conferences. I never stated I was ‘The’ diabetes dad; just ‘a’ diabetes dad—-just like you. No one knows what it is like to be a diabetes dad unless you ARE a diabetes dad. 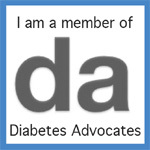 The name has stuck since; and I wear it proudly with all my brothers who are also a diabetes dad. T.G.I.F. (Thanking Great Individuals Forever)…….these dads are serious. Today’s T.G.I.F. are a group of men I met recently. When I was over in the UK with the Children with Diabetes I met a group of dads, an amazing group of dads. They are regulars dads, husbands, partners, with regular jobs, likes, responsibilities and in many ways are just like any other dads…….but they have achieved something that I have not witnessed before in my 20 years at this ‘diabetes’ thing…….they have a bond, a really tight bond. They have created a mechanism that works for them incredibly well. They have a trust. They have a place they go where they can talk about anything they want from diabetes to sports to anything else that comes into their lives that they need to discuss. They do it in a place that they have built where there is a comfort level knowing that it will stay within the confides of the group. When it comes to dads, this kind of group is unique to me. There ARE dads groups and discussion groups that are run very well, but these men have made a location where it is mano y mano only to discuss whatever it is they need to discuss in dealing with diabetes and life. This is a support group with a rock solid foundation of trust. My main point about this group is that they came together and created what they needed to work for them. Many may not believe it is ‘okay’ to have a mens only and invite only group; and surely you are entitled to your opinion. But as I read over some of their subjects that are discussed, I was moved deeply as these men truly pour their hearts out to each other when it comes to the way they deal with diabetes in their household. This is not a “man vs. woman thing”, rather this is a place where opinions on everything are on the table; for discussion, for help. Many professionals will tell you that one of the most important issues in dealing with anything is communication. Sometimes that self-searching begins with discussions with those you trust and understand because they are dealing with the same ‘life’ as you are and may have achieved better results. However this all works, it works for this group of dads and it works extremely well. The specifics will remain with them and their actual location will remain theirs. Another major point is that whatever is needed to deal with diabetes, it takes a lot of work to make it happen. 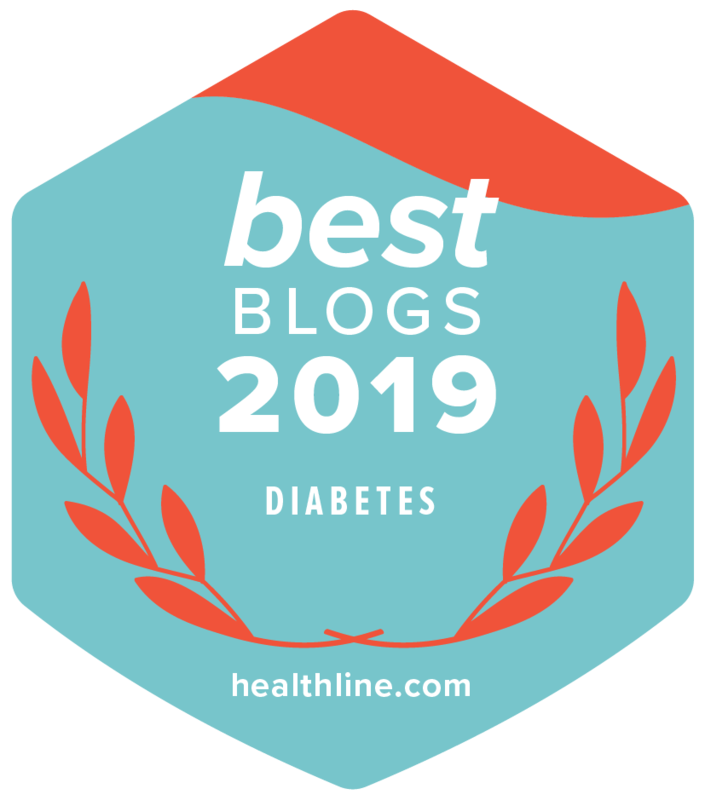 In the lives of these dads, diabetes was just not acceptable and they needed a place to learn from each other…..and they created such a place……and THAT is a really good thing. Perhaps we all can learn that something important, something needed, should be sought until found. These men surely did. Take a bow dads, I envy your fellowship and you are diabetesdad’s TGIF. In my extensive travel, lecturing and speaking with families I have found that the most forgotten group after diagnosis are the grandparents. Many grandparents share that their heart is often broken and they have to walk a fine line of learning about diabetes enough to care; but not enough to meddle in the middle of how their families deal with this ‘new normal’, and that is not an easy pathway. Without diabetes many will kid around and say that they have all the fun with grandchildren…….and then they go home. The love of grandparents can be so unique and so full, they want to help but many times they do not know how. First there is the dynamic that was long introduced as a parent and also as an in-law. For years the boundaries were set and respected (or dealt with, depending on how you look at it) so everyone pretty much knew where they stood. You add kids, the dynamic changes, you add diabetes and is all new ground for everyone. I have been told everything from how great grandparents are to how little they offer to help. I know; it is a hard dynamic. I have often thought if my blogs can do anything, it is, perhaps, that a dialogue can begin. SO take a copy of this blog and give it to your mom, dad, mother/father-in-law, or step parent and just ask them, “Where do you want to fit in?” Start to discuss this point as in many cases we just assume that parents are dealing with what OUR kids are going through. We may think we have it and don’t need them involved, we may THINK they do not want to be involved…..I say, ask and find out. I have seen grandparents play an incredible role in the world of diabetes and they will all tell you one thing, it was discussed and a course of action to include them was put in place. Don’t assume they do or don’t want to be involved………..ask. You might be pleasantly surprised. Grandparents love ’em……you might too.